A common question that is asked of our office: What does the Court look at when divorcing someone? Throughout the divorce process, the Court is required to review and divide 6 factors. Parenting time – The Courts are required to put into place a parenting plan for each parent. Parenting plans can be specific or they can be more open ended depending on the parties. The Court will make decisions as it relates to parenting days, times, exchange locations, vacation, holiday parenting-times, and etc. Decision-making of the children – This provision is based on major decisions of the children. Common examples include: schools, doctors, religions, etc. The basic day to day decisions are left up to the parties, however, the Court enters an order as it relates to the major decisions of a child. Division of Property – All marital property has to be divided. This refers to all property that has been purchased throughout the marriage. It does not matter whose name something is titled in, but whether it is considered to be marital or non-marital. Property that has increased in value during the marriage can also be considered marital property. 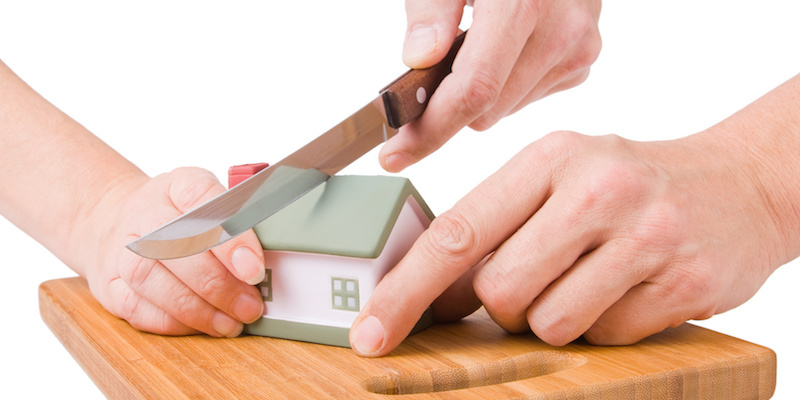 Division of Debts – All marital debts have to be divided as well. This is all debts that have been incurred throughout the marriage. This can be tricky sometimes given Student loan debts or debts to the IRS. Spousal Maintenance – Often termed “alimony” in other States. This is a financial award given to a party of the marriage for a specific period of time and for a specific amount. Spousal maintenance is formula driven and a specific calculator can be found on the El Paso County Court’s website. Child Support – Is calculated in all cases involving children. Child support is an obligation from one party to another for the children. Child support as with Spousal maintenance is a calculation that can be found on the El Paso County Court’s website. There are many factors that can go into child support so it is important to review the calculation thoroughly. The Parties in a divorce action may come to an agreement as it relates to the above-referenced factors, or the Courts may make a determination for the Parties at a contested hearing. The above is a brief overview as to what the Court looks at when divorcing parties. Every case is different, so the 6 factors may not be at issue in every case. If the Parties do not have children then the Court cannot divide issues relating to the children. It is recommended that you discuss your case with a competent attorney to help determine how the Court will divide in your case. The attorneys at The Gasper Law Group understand there are many things to sort out when you are going through a divorce. Please contact us today to speak with an experienced attorney during your FREE initial consultation.